Home / Calendar	/ Anthony JAUME in Prague! 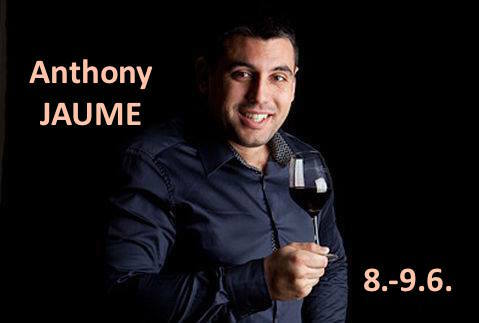 Welcome to a special wine-tasting, with a French winemaker! Welcome to a special wine-tasting, with a French winemaker. Mr. Anthony JAUME represents a family DOMAINE JAUME, from the North part of Southern Vallée du Rhône. From 1905, from father to son, Jaume family cultivates and produces typical wine for their "terroir" in Vinsobres, with a respect to the ground and nature.